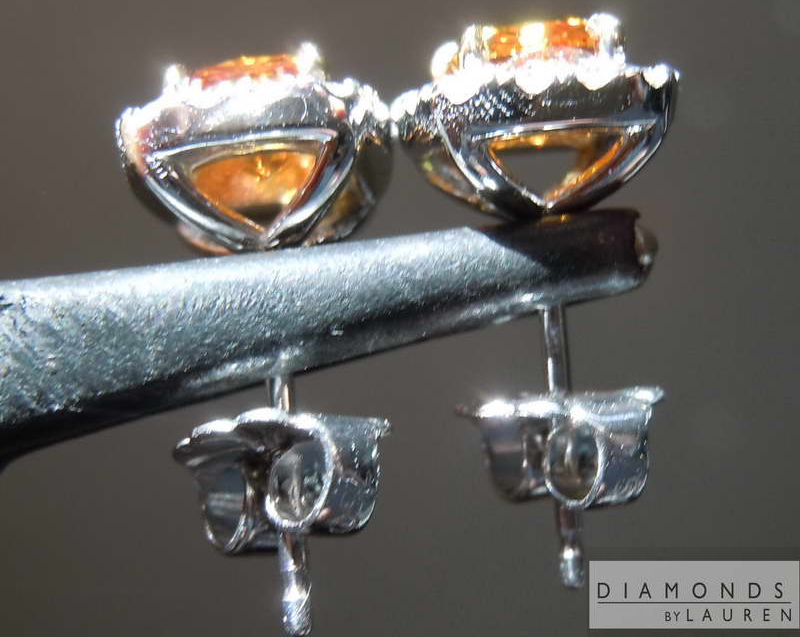 Custom made halo earrings in 18kt white and yellow gold. Our setters do an amazing job. 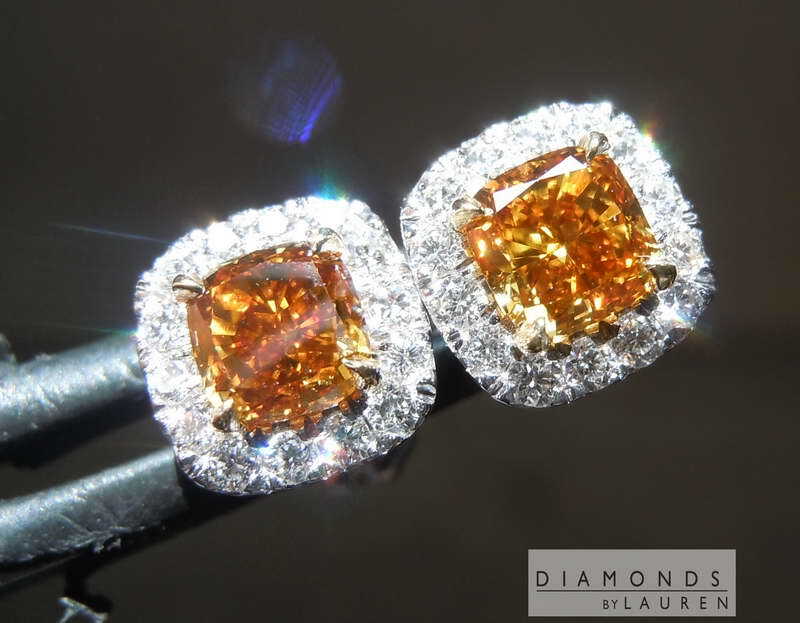 The halo diamonds are so well cut, they appear floating in super tight formation around the orange-ish center diamonds. Posts and sturdy friction nut closures. What an amazing match! 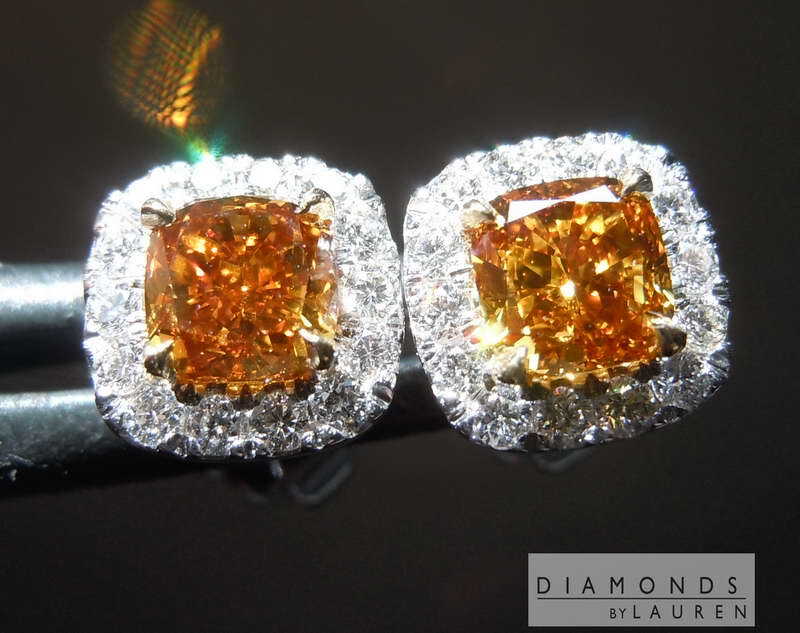 Both of these stones have a vibrant color. 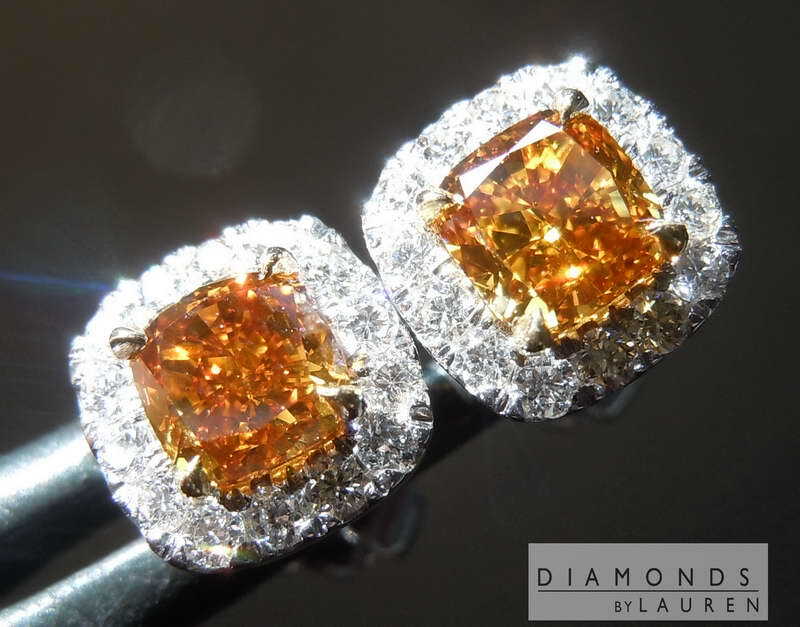 Although GIA does not use the "O" word (Orange) - that is what you see. 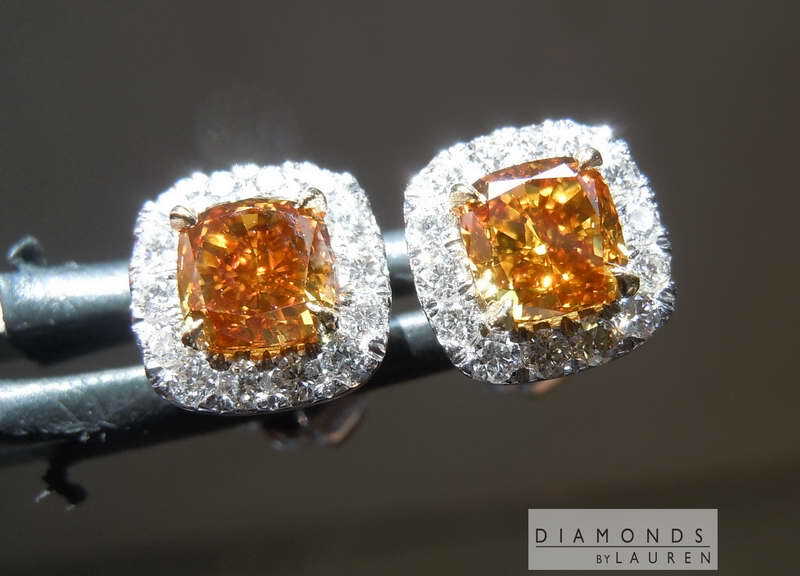 The stones are cut in a way that gives an even dazzling sparkle to the stones. 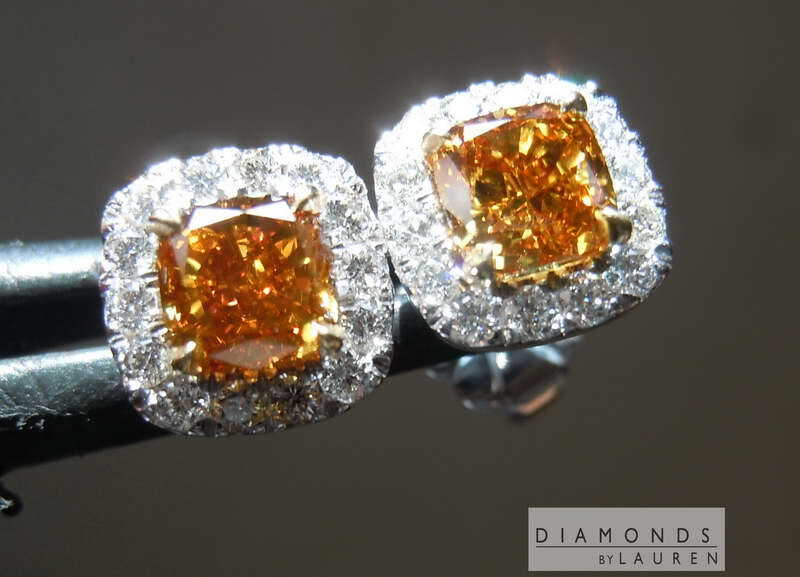 Both are eye clean and the color obscures any chance of picking out any imperfection in these stones.